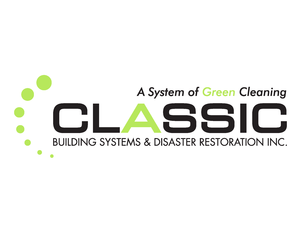 Classic is a GREEN Commercial Cleaning Company that sets the Bar High! We are proud to be locally owned and operated and have been serving Calgary since its inception. The Management of Classic has been actively engaged in the building services industry for over 35 plus years and brings together a team of highly trained, certified, and bonded employees. Our company has provided cleaning and consultation services to buildings ranging from 1000 sq. ft. to over a million sq. ft. Our objective is to manage your property or project in the most effective manner, to ensure a high standard of excellence, consistent with a reasonable cost factor. Jencor Clients and Partners will get a 50% off their 1st month of cleaning or 50% off carpet cleaning.